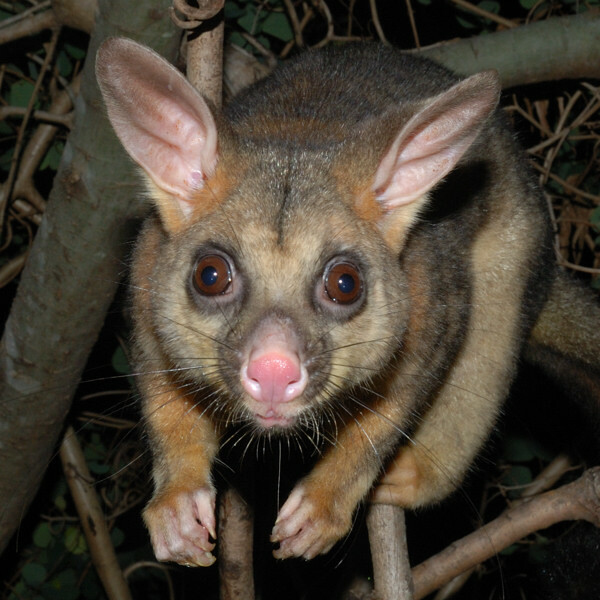 News in brief: A ceiling possum, a marauding possum, a python, a brave Kiki, and Pinot stops by for a visit. For a couple of weeks recently, Spock made his home in the ceiling. Here's a photo of him peeping out from behind a light fitting. 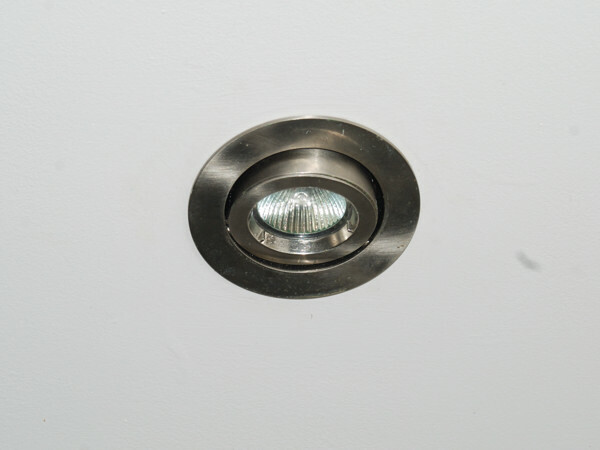 The entrance to the ceiling space is via a very small gap (40 mm high by about 150 mm long) at one end of the roof. 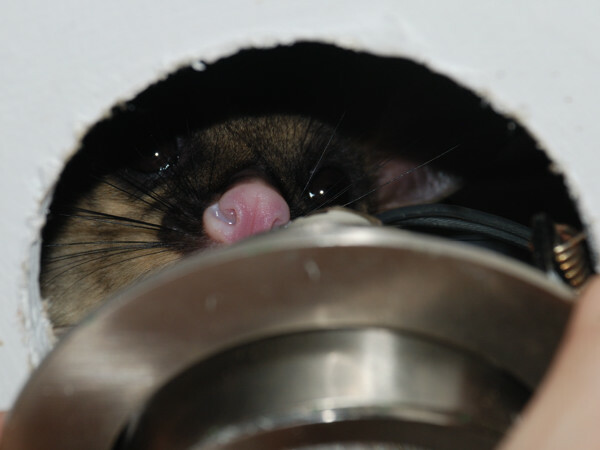 Only the smallest of possums can get in there. 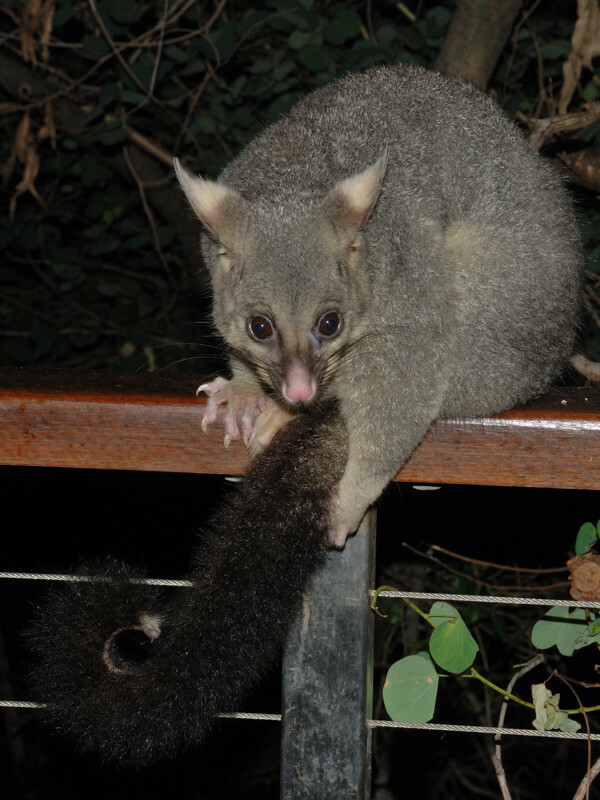 The only other possum who has used this place was Fifi (Kiki's first baby), who was there for a short time in January 2010. There has been a new male possum around. He has checked out boxes 2, 4 and 7 and slept in box 3 (once) and has been seen in the trees a couple of times, but hasn't visited the house yet. I haven't been able to get a photo of him so far. Recently a carpet python appeared outside the house, immediately after Spock and Wasabi had visited. 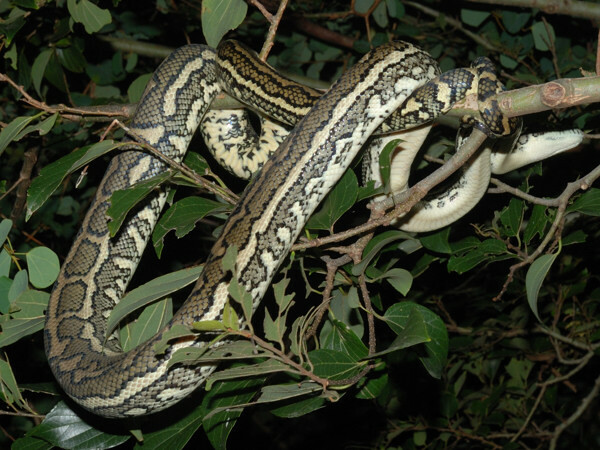 This looks like the same python that Kiki was glaring at on the 7th September last year (see the post from 8th Sept 2012). It's now about 2 m long and it's possible that it's big enough to eat a small possum like Spock or Wasabi. The python looked like it wanted to stay close to the house and was still there a couple of hours later when Kiki arrived. With the intention of both keeping the python away from Kiki and discouraging it from remaining near the house (where there was the danger that it would enter Spock's sleeping place), I flung a jug of cold water over it. I'm not sure what Kiki's reasoning was - whether she though I was in conflict with the snake and wanted to help me out, or whether she wanted to show me that she could deal with the snake by herself without my assistance - but she immediately ran at the python and may have bitten it on the tip of the tail. The python then rapidly disappeared and Kiki stood glaring after it, as if daring it to come back for some more. The following day, Spock didn't sleep in his ceiling space and both him and Wasabi didn't visit the house. The next night, Spock turned up late and was very nervous and didn't want to come close to the house. Wasabi and he clearly know about the python. Finally, here's a photo of Pinot when he returned after nearly 2 months absence.